My mom used to tell me that there is nothing as powerful on Earth as an idea whose time has come. Historically, we can point to the fall of the Berlin Wall, the founding of our Republic and the advent of digital technology as but a handful of examples of this truth. While each of these cases is indeed impressive, so are you. The beginning of another year is the ideal time to reflect on how you can unlock your potential for a more dynamic and satisfying life. Unfortunately, New Year’s resolutions tend to focus on negative behaviors – in other words, trying to curtail bad habits and the results of those bad habits. 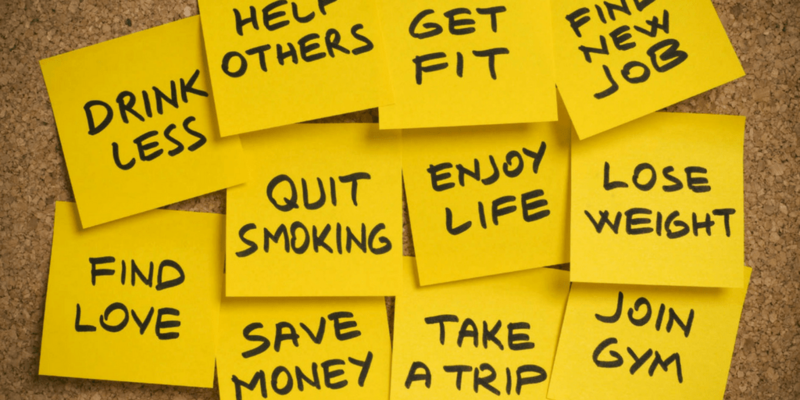 Trying to stop smoking, overeating or being less sedentary are obviously worthwhile pursuits, but we tend to break these resolutions fairly early in the year because they are not integrated into a more expansive view of achieving our potential. As we said earlier, there is nothing more powerful, in your life, than an idea whose time has come. Let the beginning of a new year be the time that you begin your search for that powerful idea that could help transform your life – or if you already love life, keep it going well into the future. We all have strengths that make us valuable and unique. Stop for a moment and reflect on that thought. What do you view as your individual strengths? Write them down so that you can refer to them throughout the year. Ask your friends and family if they agree with you. You may be surprised by their perceptions of your strengths. Your list of strengths will serve as your personal touchstone throughout the year. The next step is to examine how you are spending your time. If you are still employed, is your job playing to your individual strengths, or is it just a way to earn a living? If you are retired, are you just passing the time, or are you engaged in activities that play to your strengths? Really understanding your strengths may be the best New Year’s resolution of all.